This is the lowest price we've ever seen on this superb DSLR – by a long way. 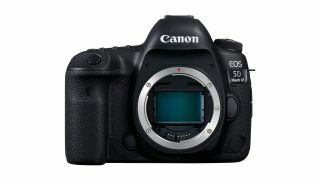 There’s a remarkable deal on the Canon EOS 5D Mark IV over on eBay at the moment. You can pocket the superb – but normally very pricey – DSLR for just $1,899.99, down from $2,799. That’s a huge 45% off its RRP of $3,499, which is an incredible Cyber Monday camera deal. The Canon EOS 5D Mark IV comes with an all-new full-frame 30.4MP CMOS sensor. The large 3.2-inch display boasts an impressive 1,620,000 dots and touchscreen functionality, while noise and dynamic range performance are improved from previous models. This a high-performance camera – and it normally comes with a reassuringly high price tag, pushing at the $3,000 mark. This eBay deal is absolutely unbelievable. Get it while you can.